WindyGIRLTM and WindyBoy® - The perfect combination! 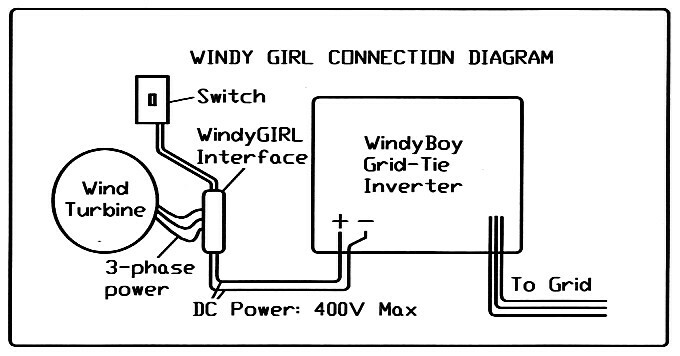 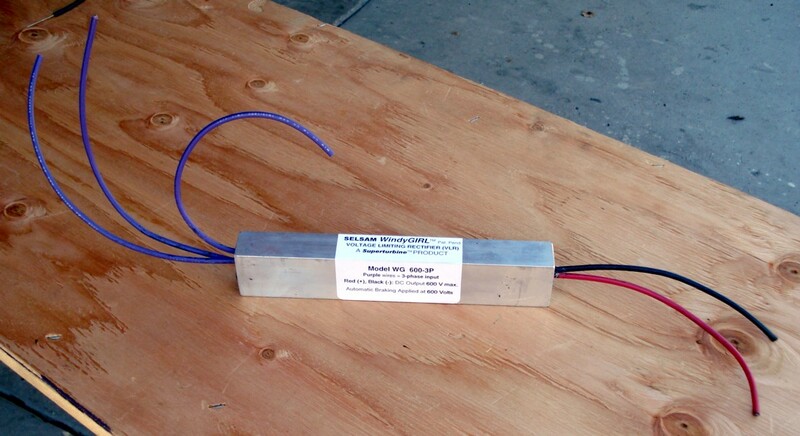 WindyGIRLTM protects the SMA Windy Boy(R) Grid-Tie Inverter. 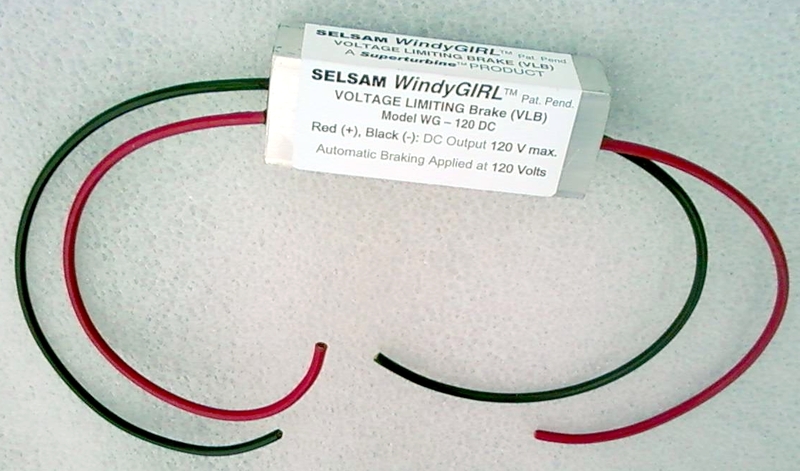 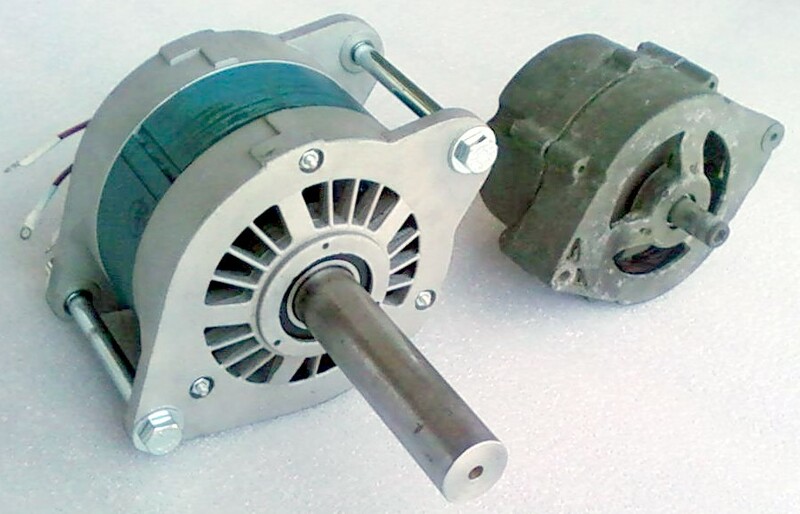 This WindyGIRL brakes the turbine to a stop or crawl before the trigger voltage is reached. 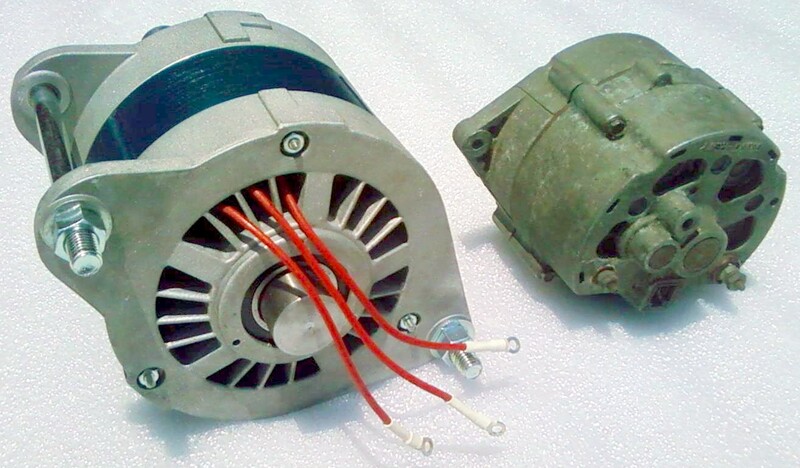 with 500 Volt auto-brake, extra-heavy-duty unit, 3 purple input wires, red (+) & black (-) output wires, onboard 3-phase rectifier, no manual brake switch leads. 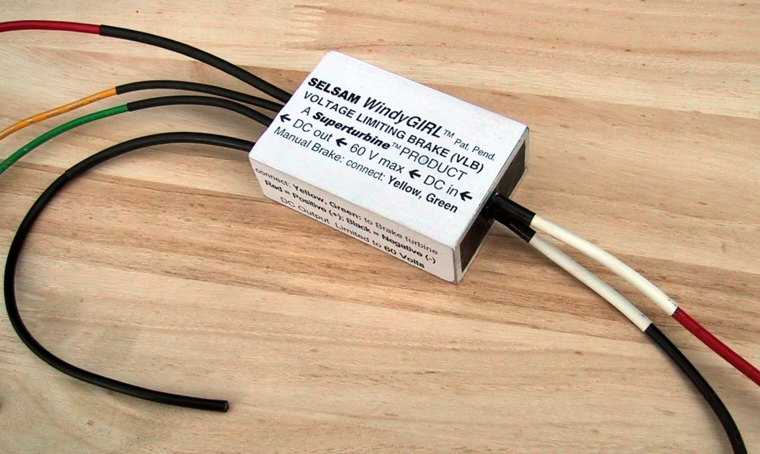 Use for 500 W turbines. 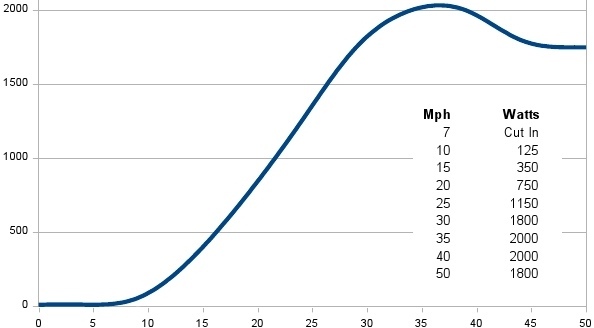 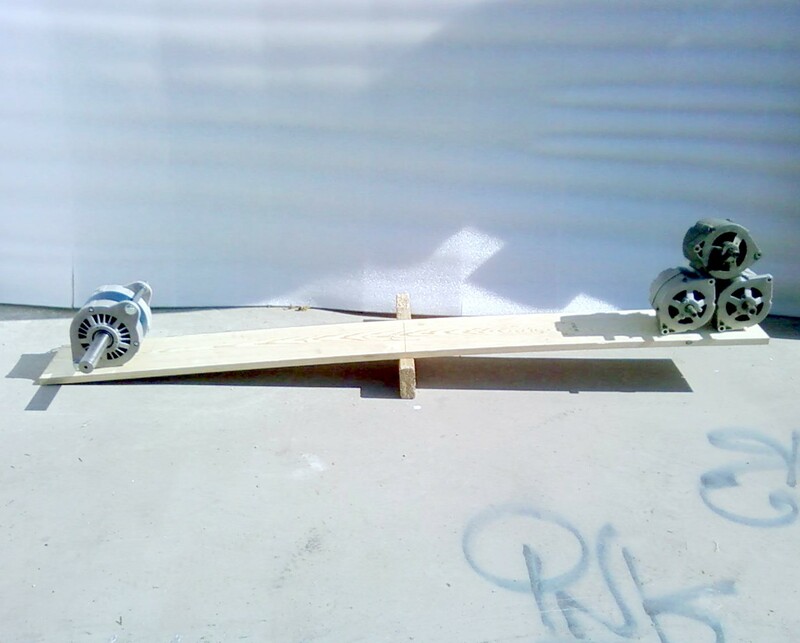 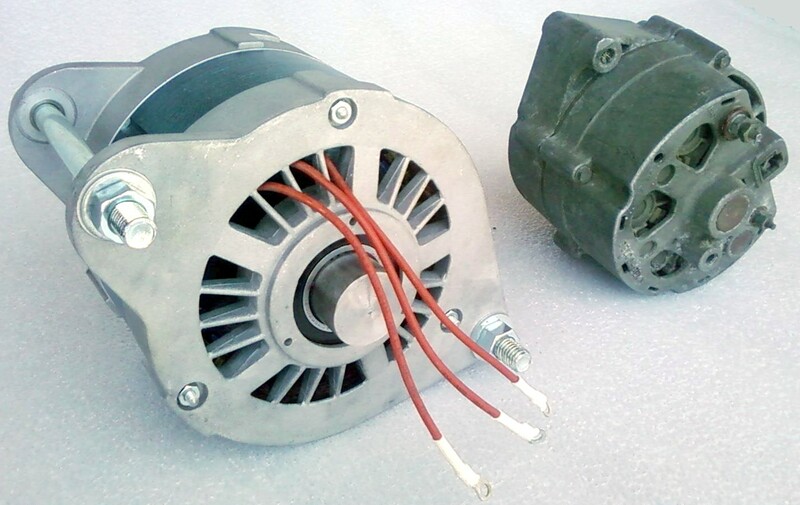 take max power at below 480 Volts to limit rotor RPM. 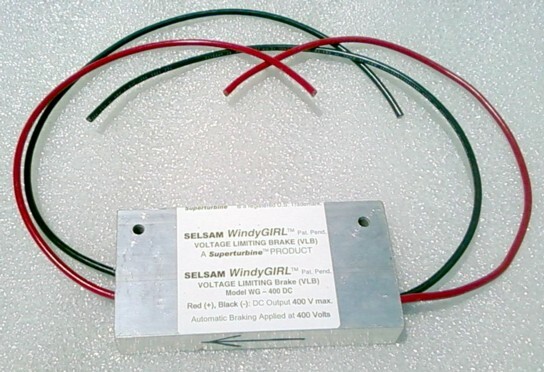 WindyGIRLTM works with any turbine compatible with the Windy Boy® (DC voltage operating range 139-400 volts) 500 volt version for Windy BoyTM 3000-US, 600 volt version for Windy Boy® 2500U, 5000-US, 6000-US, 7000-US easy to use - email or call anytime We make Any WindyGIRL, Any Voltage, Any Power Level, with any extra features such as manual triggering, just for you! 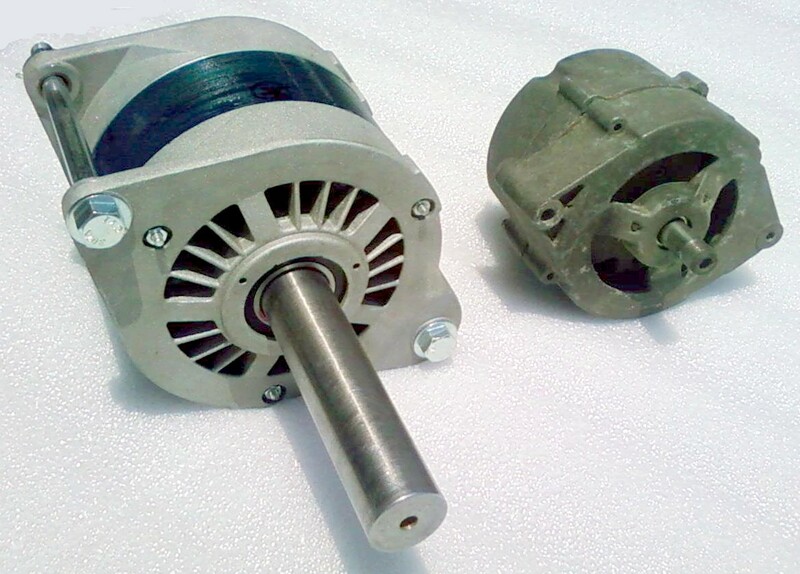 = $2947 total Package including delivery to the U.S.
Visit the SELSAM ST 1.2 American Twin Dual-Rotor 1 kW Superturbine® website! 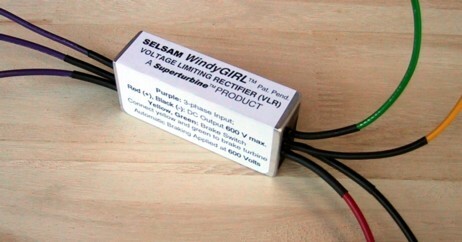 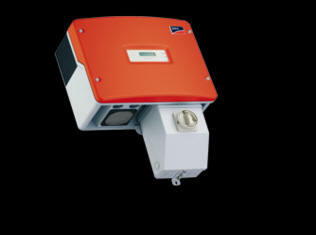 WindyGIRLTM is connected between your wind turbine and your WindyBoy® inverter from SMA-America.